The Development & Climate (D&C) Days event at COP23 explored four key themes towards climate resilience for all. More than 450 policymakers, researchers and development practitioners attended the D&C Days conference on 11-12 November 2017. The event, held alongside the 2017 UN climate talks, had the theme 'Global ambition. Local action. Climate resilience for all'. D&C Days offers an opportunity for those attending annual UN climate talks to meet informally to explore key issues and develop ideas for future action. The programme for this year's event was designed to influence the UNFCCC’s 'ambition mechanism' processes – particularly the elements know as the facilitative dialogue and the global stocktake. IIED has produced a detailed D&C Days 2017 event report (PDF), which details the key messages that came out of the two days of discussions. IIED director Andrew Norton spoke at the close of the first day of the conference. Norton described climate change as "the biggest social injustice of our generation". Norton said the extreme weather events of 2017 had highlighted the struggles involved in coping with a one-degree warming of the planet. But a child born today could experience much more significant climate impacts, such as those related to a three- or even a four-degree warming. Norton also noted that chronic climate impacts such as heat stress and sea-level rise were as important as headline-grabbing hurricanes and floods. These chronic impacts were affecting growing numbers of people in profound ways. You can watch Andrew Norton's address in this Facebook Live video. IIED has published a summary document (PDF) setting out the key messages which emerged from each of these themes, while illustrator Jorge Martin also produced a visualisation of the conversations that took place. This can be viewed below or on Flickr, where it can be enlarged. The closing panel was chaired by Mary Robinson, former Irish President, and now president of the Mary Robinson Foundation – Climate Justice. Watch a panel of experts discuss progress in the first week of COP23, and what to expect in week two. Saleemul Huq, IIED senior fellow and director of the International Center for Climate Change and Development (ICCCAD) also reported on the talks at D&C Days. He outlined the first day's discussions in this video. Red Cross Red Crescent posted photos from the conference on Flickr. At the end of the first day, participants watched 'Thank you for the rain', a film documenting five years in the life of Kenyan farmer Kisilu Musya. He charts the impact of climate change on his family and his village in the face of floods, droughts and storms, one of which destroys his house. Musya ultimately starts a communal farmers' movement and makes it to the Paris climate talks. Watch a trailer. Shared resilience: recognising we live in an interconnected world with complex intercontinental supply chains, global financial flows, and decision making shared between the international, national and local levels, strategies for managing risk and building resilience must be designed and implemented together (download the background paper (PDF)). How can gender responsive climate action lead to resilient communities? How can we build resilience in fragile and conflict-affected contexts, where many of the world's most vulnerable people live? How should we decipher the politics of how the UNFCCC is addressing the issues of transparency and downward accountability? What actions can companies take to reduce vulnerability and enhance resilience in the communities along their supply chains? This year's event was organised by a partnership between the Red Cross Red Crescent Climate Centre; IIED; the International Development Research Centre (IDRC); the Global Facility for Disaster Reduction and Recovery (GFDRR); the Mary Robinson Foundation – Climate Justice (MRFCJ); We Mean Business (WMB); the Food and Agriculture Organization of the United Nations (FAO); and the German Development Institute/Deutsches Institut für Entwicklungspolitik (DIE). Contributing partners to this year's event are Action on Climate Today, Oxford Policy Management (ACT, OPM); the International Fund for Agricultural Development (IFAD); and the Netherlands Organisation for Scientific Research (NWO); the Adaptation Network; the NAP Global Network; the Federal Ministry for Economic Cooperation and Development (BMZ); and the Women's Environment and Development Organization (WEDO). 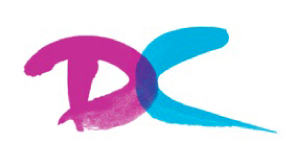 The first D&C Days took place in 2002, and the event has since become a popular part of COP, providing an opportunity for researchers, practitioners and negotiators to meet informally for honest and open discussions on news, ideas and solutions on climate change and development. Read about the history of D&C Days. The 2016 conference in Marrakech, Morocco showed the impact and expertise of climate change practitioners working on the ground. The UNFCCC binds nearly 200 countries to tackle the global issue of climate change. The parties to the UNFCCC meet each year at the Conference of Parties (COP) to review progress. The ambition mechanism is the process set up as part of the Paris Agreement to ensure that action on climate change increases over time. The ambition mechanism requires a global stocktake to be undertaken every five years to review progress and set a forward course. The first global stocktake will be in 2023. In 2018 parties to the agreement will gather to take stock of action to date. This meeting is referred to as the 'facilitative dialogue 2018'. The Paris Agreement entered into force on 4 November 2016 and has been ratified by 160 countries. The Bonn conference aims to finish the guidelines for implementation of the Paris Agreement and will prepare for the 2018 global stocktake. D&C Days organisers are committed to promoting sustainable development. To reduce the environmental impact of this event we encouraged participants to avoid distribution of printed publications and increase electronic distribution where appropriate. The event was delivered in collaboration with suppliers and contractors that consider their carbon footprint and endeavour to reduce their environmental impact. The venue, Hotel Kameha, was chosen for its proximity to the COP23 venue in order reduce unnecessary travel, and has a leading sustainability commitment.